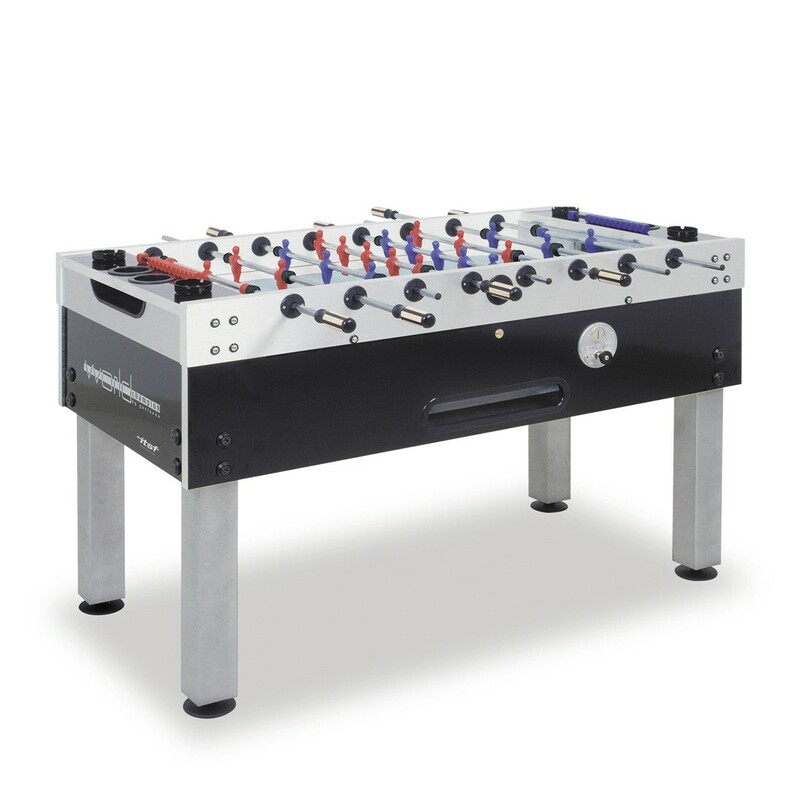 Dimensions 61" x 47.25" x 36"
The Garlando World Champion Foosball Table meets ITSF regulations and is designed to meet all professional player's requirements. The unit has 1 1/4-inch thick cabinet walls made from layers of plywood and medium density fiberboard combining together to provide the sturdiest construction. The playfield is supported to reduce cabinet stress and is reinforced by metal bars for maximum stability during competitions. The two adjustable supports inside the cabinet maintains a perfectly level playing field. The playfield is made of tempered, non-reflective sanded glass with a green background and white lines to look like a real soccer field. 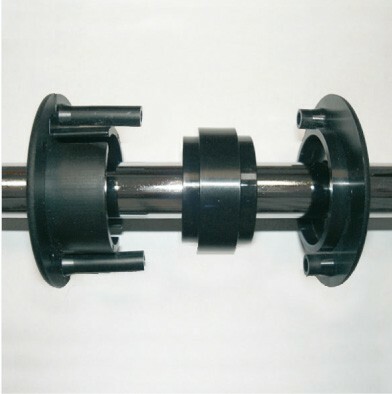 The bars are 2/3-inch diameter and are coated with anti-rust chromium-plating that allows for 50% more torsion resistance than traditional rods. The steel roller bearings greatly improve game speed while reducing stress on the wrist. Professional plastic handles with wooden inserts reduce perspiration and improve grip. 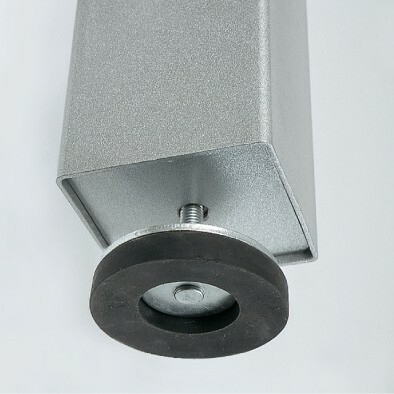 4" x 4" square steel legs are coated with an anti-scratch silver powder varnish to protect against scratches. Competition leg levelers for guarantee a perfectly level playing field. 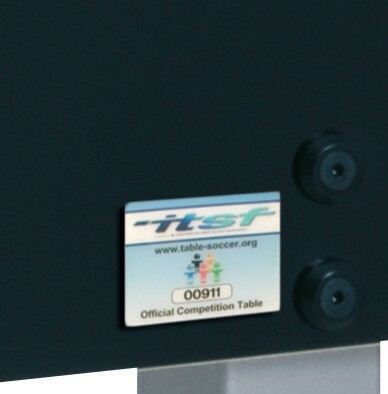 Attractive black and silver color with ITSF logo and official Competition plate with series number. Comes with 10 standard white balls, 3 competition high control balls, and standard American style coin mechanism. 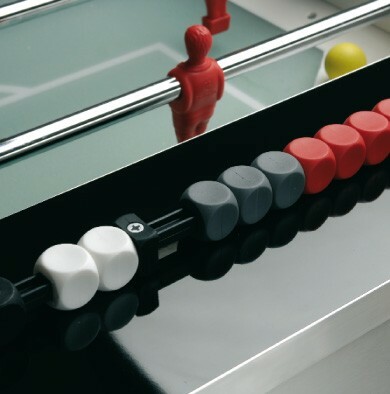 Once you play on the Garlando World Champion Foosball Table you will see why it is already a classic!